On November 13, 1991, U.S. and British investigators indicted two Libyans - Abdelbaset Ali Mohmed al Megrahi and Al Amin Khalifa Fhimah on 270 counts of murder, conspiracy to murder and violating Britain's 1982 Aviation Security Act. On January 31, 2001, Abdelbaset al Megrahi was convicted, and Fhimah was acquitted at the Scottish Court in Camp Zeist. We are completely convinced and confident to state that Abdelbaset Ali Mohmed al-Megrahi was wrongly convicted of being responsible for the downing of Pan Am 103 over Lockerbie on December 21, 1988. It has been our intention for the last several years to arrange for the "Megrahi case" to be heard in the European Court of Human Rights in Strasbourg, France. On October 12, 2015, a world-renowned human rights attorney introduced me to a colleague at Doughty Street Chambers in London, John Jones QC. On December 18, 2015, Mr. Jones and I began work on a contract which would lead to Mr. Jones presenting the "Megrahi case" in Strasbourg, France. Working with Mr. Jones was an extraordinary experience, based upon his unique ability to rapidly grasp the concept that the Megrahi case could be heard independently of the Lockerbie case, which led to the completion of the contract between us. 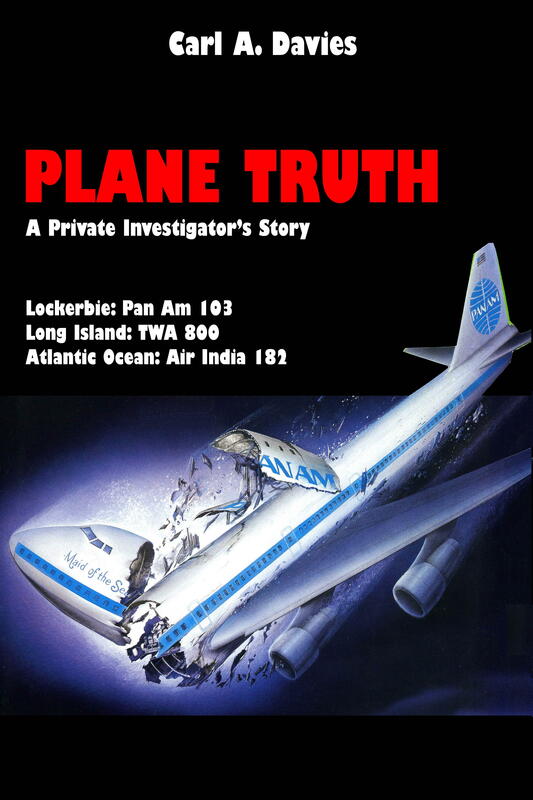 Despite an enormously complex legal case involving the crash of Pan Am 103, John very quickly appreciated the fact that demonstrating in a court of law that Megrahi was innocent of any participation in the disaster, could be argued independently without involving the details of the Lockerbie case. John and I were in process of arranging a meeting in London to sign contracts between us when, to my horror, John lost his life in a tragic accident at West Hampstead tube station, while he was on his way to work on April 18, 2016. At the time I was seeking an investment of 2.5 million pounds sterling, of which 1.5 million would be required immediately, and the balance being available for any cost overruns. When the late Megrahi is proven to be innocent of the Lockerbie crime, his family - which has suffered for over 25 years - should be compensated for at least 100 million dollars! The investigation into the downing of Pan Am 103 has been in process for almost 30 years and is still actively under consideration as of November 5, 2016. To understand the details of this case over the years is an extremely complicated and tortuous undertaking. For those wishing to review this case in some detail, it is suggested that you start by reviewing the documentary "The Maltese Double Cross". 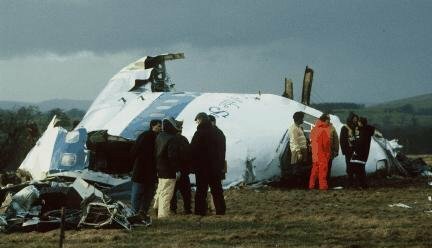 The first documentary made on the Lockerbie disaster was "The Maltese Double Cross" by Alan Francovich. This documentary was initially banned in the UK and the US, but is now available by either doing a Google search on the documentary title, or by double clicking the following URL. For any interested party who is following the details of my investigation, I suggest they start by reading my book, which was published in 2000! You should now follow this story by reading my webpage, "Libyagate". For further details, please read my book. Please double click the image to enlarge. 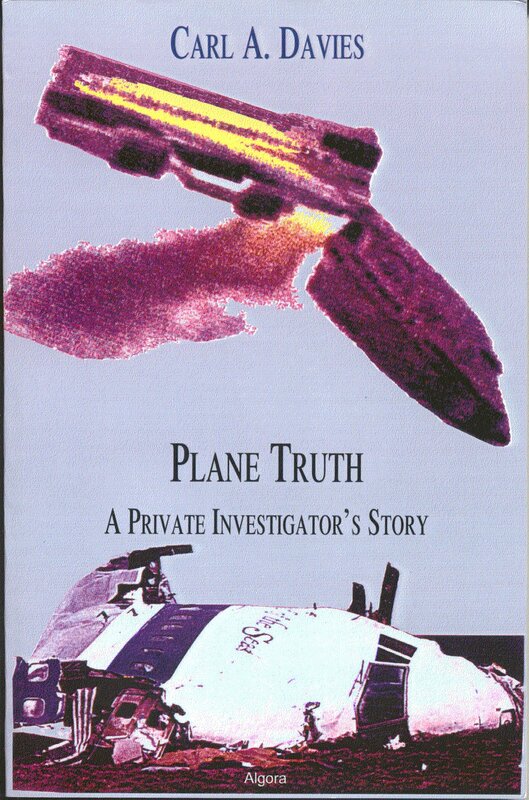 I am in the process of writing the second edition of my book, which will include drastic developments in the investigation on Pan Am 103, TWA 800 and Air India 182. This copy will be available from the publisher very shortly. Once you have seen the documentary above and read my book, you can start getting additional information from the most comprehensive blog by Professor Robert Black, QC. The following link will give you access to Professor Black's blog.